Mother's Day is almost here. If you are still looking for something to give to a special mother in your life, here is a list of ideas for a mother that loves camping and the outdoors. And no, this isn't a hint to my significant other even though I wouldn't oppose any of these items! Take your kitchen on the road at your campsite! Peggy Sue, our 2001 Jayco Qwest Pop Up Camper, is small and basic. I also think she is kind of fabulous. We have really enjoyed each trip that we have taken with our family. So far we have camped in the cold, the rain and the heat. We have managed to make nice meals regardless of the weather. In a limited space, how do you set up a kitchen where you really cook? It is easier than you think. And, it will make cooking on your camping trip much more enjoyable. RTIC Cooler Review - Does It Hold Ice for 5 Days? Earlier this year, RTIC had a sale on their soft pack coolers. My husband and I couldn't pass this deal up, and we managed to score an RTIC 40 Soft Pack cooler for $99.95. It was $50 off. We had been eyeing these coolers for months and didn't want to spend double that on a competitive brand. The RTIC Soft Side Cooler features a waterproof zipper. I do know that there are ways to make cooler covers to insulate a regular cooler. For me, time is money. If I am going to invest the money in materials and time to make do with an existing cooler, I might as well purchase another cooler. Constructing a cooler modification just doesn't make sense for me logically or monetarily. Consider this before going down the road to insulate a typical cooler. It might not be worth it for you either. When we bought our camper, we had a two burner stove that came with our set up. It sets up outside so that I easily prepare easy meals without smelling up our camper. However, I knew we would want to have an oven to do some additional cooking while camping. Outdoor kitchen stove for cooking. Camping at nearby locations makes for easy and fun weekend trips. We live near several state parks both in Mississippi and Alabama. 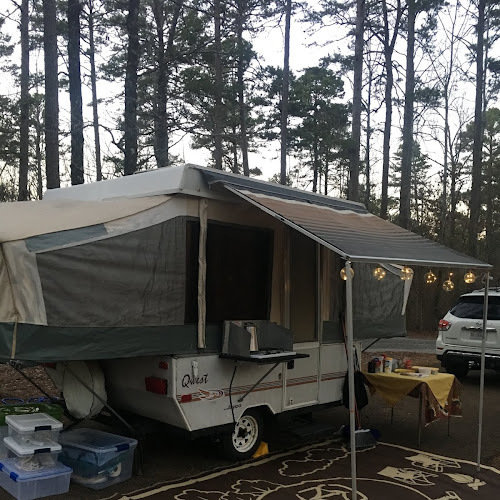 For Easter weekend, we chose Lake Lurleen State Park just outside of Tuscaloosa, Alabama. It is the perfect half way point for meeting friends from Birmingham to camp. This was my view each morning as I drank my coffee. Beautiful grounds. Since this was a holiday, I still wanted to have something festive and fun. I love decorating my table at holidays and cooking holiday meals. So, I tried to incorporate this into our camping trip. Angel Biscuits are versatile and so much more than just a biscuit. They are really a hybrid of a biscuit and a yeast roll. The dough can be made ahead of time and frozen for cooking later. This makes for easy breakfast with company or camping trip. I have been playing with this recipe to make some additional options. Biscuits are great, but why stop there? 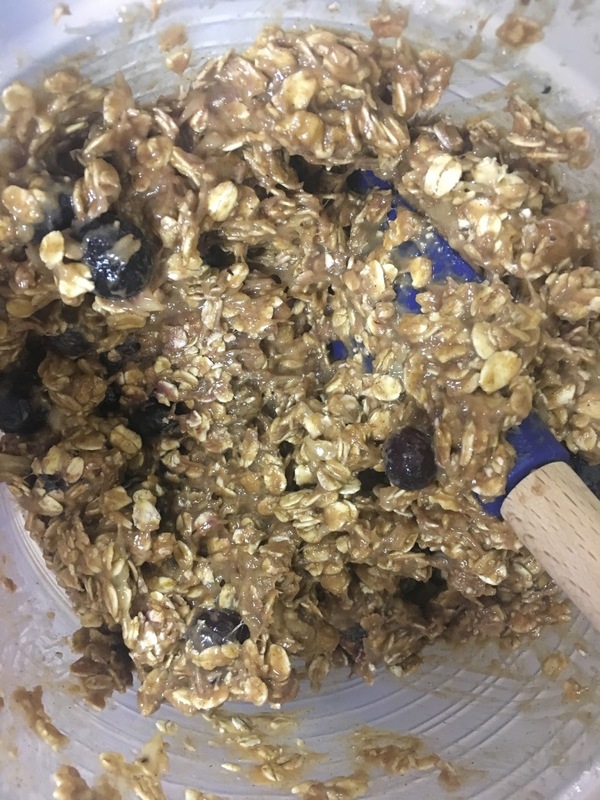 I've mentioned these biscuits before on my blog, but this post will give you more information on how to make some additional variations for your hungry campers or family. First, start with your dough. There are several variations of this basic dough. Sometimes it is called Angel Biscuits. Others call it Brides Biscuits. This recipe is exactly like the one that I use, except my recipe calls for 3 tablespoons of sugar instead of 1. You can make the call here. The result will be a springy, soft biscuit. Bride's Biscuit dough is soft and springy. Don't over mix or add too much flour. Keeping up with clothes and shoes has been a challenge for this momma over the past year. Our son hit a growth spurt and has grown over 4 inches in a year. As we neared the end of the winter season, I was just praying we could make it to warmer weather with the clothes and shoes we had. Summer for us is casual and carefree. Since my husband is a teacher, both boys are at home playing and keeping a very different routine from the school year. Everything is about play clothes that are comfortable and easy. This includes easy on and off for both shoes and clothes. Little feet move easily and with confidence in these shoes. Plae is a brand of shoes that I had learned about a couple of years ago. These rugged shoes are light weight and easy to get on and off. I originally purchased these shoes for back to school two years ago. They moved with our son's little feet and had great grip and traction while moving around. This spring, I decided to come back to Plae for a second try. And, this company has earned a loyal customer. Plae shoes are lightweight and bend easily with the foot. First, Plae offers a growth spurt guarantee to parents. If your child outgrows his or her shoes within 30 days of purchase, you can purchase a replacement at 50% off. This is huge! Given the last six months of growth, I can see how this would really benefit some parents. Second, there are lots of styles for kids that work for all kinds of activities. Plae makes shoes for both girls and boys. From basic sneakers to sports sandals, there is a style to keep your little one moving. Parents can choose pink and girly styles or boys basics to stylish for any gender. We ordered our little one two pairs of shoes for spring a summer. The Sam the Fisherman shoe is a closed-toe sports shoe. The parent's morning out program our son attends requires a closed toe shoe. This shoe fits that requirement while giving an airy shoe that is less hot. The fisherman shoe can get wet and dry easily and works well for short afternoon hikes or backyard play. Sam the Fisherman shoe is a great summer time shoe that can be worn both with or without socks. Ty the Sneaker is the second spring and summer shoe that we purchased. These flexible sneakers are a staple for us and far more than a basic shoe. You can wash these sneakers. They are made of lightweight, breathable materials that hold up well to busy little boys. Velcro tabs can be switched out in these shoes for a different look or to accommodate different foot width needs. Plae shoes are built to give traction, bend and remain lightweight. We always end up needing a couple of pairs of play shoes. There seems to always be the afternoon stomping in the mud or a puddle. Dirty is the name of the game at our house. I cannot tell you the days that we literally hose him off in the backyard before coming inside for dinner. Having a backup pair of shoes makes it easy to change and keep going. Plae shoes come with interchangeable velcro tabs. Easily change worn out tabs or just jazz up a pair of existing shoes for a fashion conscious parent or child. Plus these tabs seem to be a lot easier for our son's little fingers to work and get closed. He is much more independent with these shoes than others that we have tried. And if you need to feel good about where you are spending your hard earned money, Plae cares about the world we live in. Plae features a Plae It Forward Program that teams up with children and the causes they care about in the world. Visit Plae's website to learn more about their Ambassador of the Month and how Plae donates to these causes such as clean drinking water for children in India. As you gear up for spring and summer, explore the world of Plae. 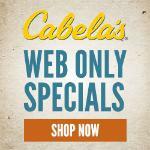 They have great shoes at reasonable prices. Plae shoes are designed for a variety of activities and events in your life. These shoes will be well loved over our spring and summer camping trips. We love our Plae shoes! Have a great week! Get out there and enjoy the outdoors with your family. It is the best way to spend some quality time together! Anyone that knows me well, knows that I love a subscription box! Fab Fit Fun is probably my favorite box. It is a quarterly box that sells for $49.95 and contains seasonal fashion, beauty and health/fitness items. Every season, I'm amazed at the selection and the quality of the box. If you are wondering what this subscription box has to do with camping, well it does and doesn't. Subscription boxes like this are every glampers dream. This box has something to enjoy outdoors in the sun, fabulous lip color to look great, skin and hair care along with a piece of jewelry. Stash these items in your bag for your next trip, and you are set. The spring 2017 Fab Fib Fun Box is packed goodies you will love as the weather gets warmer. Step out of the shower, and spray your hair with Briogeo Rosarco Milk Reparative Leave-In Conditioning Spray . I like the way that this product smells and makes my hair feel. It is perfect for spring and summer when you are outdoors more exposing hair to UV rays along with chemical treated pools and more. This leave in conditioner smells amazing and works great! Get your skin ready and rid of dead skin cells with the Dr. Brandt microdermabrasion cream. Follow with a hydrating mask for a facial on the go. 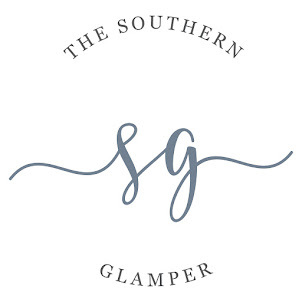 Who says you can't glamp it up with a facial? Dr. Brant's Microdermabrasion is a favorite of mine from this box! While you are at it, do your nails. Each box had a Deborah Lipman nail polish set. My box came with The Shape of My Heart Duet set in pale cream and lilac pinkish shade. Both are great. They really have staying power and can make any girl feel great! The Deborah Lipman set is a perfect spring color duo. Now it is time to get your game face on. Each box this spring came with Real Her lip set including liner, plumping gloss and matte liquid lipstick. I agree with some of the other reviews that the gloss is a bit sticky and so is the liquid lipstick. However, the color really lasts a long time. The deep red color is amazing. Some boxes had a more neutral shade, but I'm happy with the deep red! Realher is a cruelty free company! You can feel good using these products. This is the perfect red with a blue undertones. The color really lasts a long time too! Hair Skin and Nail vitamins are great to look your best during the spring and into the summer. Complete your look with some new jewelry. My box came with an Emerald Duv Joshua Tree Cage Bracelet. it is a great accent piece that is fun for work or weekends. This is one of my favorite jewelry pieces from Fab Fit Fun. Who wouldn't love this cuff style bracelet. I've worn this piece quite a lot. When you are ready to get outdoor, pack up your cash and phone in the Milly Zip Pouch. Each pouch is water resistant, has a wrist strap and is water resistant. Perfect for outdoor activities and carrying a few things on the go. Take your favorite lip kit items for a touch up later. Get outside and enjoy the sun with the Gypsy round and zippered pouch with all of your essentials. Finally, the Gypsy rounds included in the spring 2017 box is amazing. Use it outdoors for a picnic or to read and relax. Use it as a tablecloth or a bed throw to add a pop of color to any room. Overall, I would give this a box an 8 out of 10. The only reason I didn't give this box a 10 is because I was not able to choose my lip color and nail color. I do like my colors, but I also like to be able to choose these items. Sometimes this can be a gamble. The box does have an overall value of $369! That is huge! And every product is high quality. I've used everything in my box, and think it is perfect for spring and early summer travel. Camping doesn't always have to be gritty. It can be girly and fun. I think camping is about relaxing and enjoying nature. I can enjoy it best when I feel my best. And, at home, I don't always have time to indulge in facials and nail painting. If you are gun shy about the price, the box itself is about $16 per month. You could easily spend this money on 4 trips to Starbucks alone in a month. And, these will be beauty products that you will use and can actually save you money. Get the Fab Fit Fun box. It is so worth it. Every single box has great items that I actually use and enjoy. Do you subscribe to any boxes? If so, what are they are what do you like about a subscription box? Get your glamper on and get yourself a Fab Fit Fun Box. I anticipate this box like no other. I stalk it on Instagram and look for spoilers waiting to see what is going to be in each seasonal box. I've been doing this for about 2 years, and it still hasn't lost its charm. This post contains Walmart and Amazon Affiliate Links. Experienced and rookie campers both need a checklist to get organized for that first trip of the season. There is a lot of work for any camping trip, and nothing is worse than getting to a site unprepared or realizing that something you really need isn't there. I've done it. Our family is still getting things fine tuned for our trips. Part of your list and what you pack is going to depend on what kind of camping you plan to do. Will you need a convection or toaster oven or do you prefer to use a Dutch Oven? Will you plan to do mostly grilling? What season of the year will you be camping? What kind of activities will you participate in while you are there? How large is your family? The list could go on. Logically, think through your trip from start to finish and use this mental plan as your road map for planning. Go over everything from brake lights to towing hookups and more. Everything that you need to do to get out on the road should be combed over in preparation to go. Also, make those little repairs and updates before getting to the campsite. I did some extra sealant maintenance on our pop up camper with Dicor Self Leveling Sealant. Peggy Sue is an older camper. Her canvas is showing some signs of aging, so I planned for a repair kit to keep with us in case we needed it. And, we have needed to make a quick repair. I also recommend downloading a copy of your users manual for your camper and printing a copy to have on hand. Ours is bound and stays in our camper because there is not always wifi. Technology can and does fail at some point. Be prepared and take a manual. We have used ours for issues with putting our screen door in place to lots of other newbie questions. Also, go through everything and make sure that it works and hooks up. To read more about how we learned this the hard way, check out my post on Rookie Mistakes. This will help you to check off your list and make sure that you are really ready to go. There is a certain set of basics you are going to need. Sheets, towels, broom, toiletries. These are your must-have items that you can just purchase and leave in your camper from trip to trip. Basic items are some of the easiest to forget. Make sure you go over this list and check it twice. We purchased linens and towels from Wayfair that are part of our camping basics. Lots of camping basics and your household items could be duplicate items that are already at your house. Take inventory of what you already have before you start buying new things for your camper. It can save you a lot of money. My basics list also includes things like bungee cords, matches, broom/dust pan and extension cords. You will always need these items and can use them for multiple purposes. Organize your basics so that can easily get to them when you need them. It will make your trips much more enjoyable. There isn't really a whole lot of difference between camping basic and household items. It is just how I separated my list. 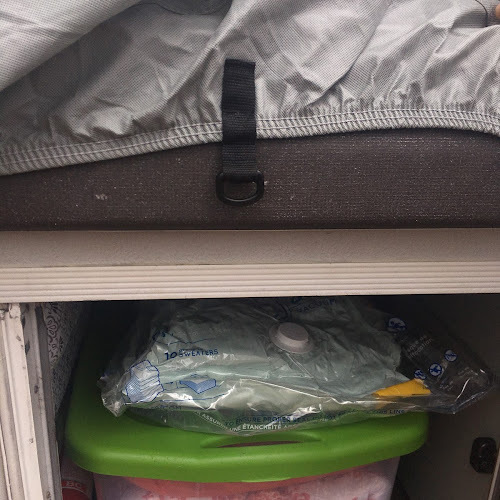 My household items are cleaning supplies and items that I keep stored in my camper. This is my list of things to set up house beyond just having somewhere to sleep at the end of the day. I do keep laundry detergent and dryer sheets with us. I know all too well how easy it is to get super dirty and need extra clothes. Don't over pack because you worry about this. Just do a load of laundry. Having the supplies to do it make this easy. Also, I like to cook. However, cooking without the right gear is difficult. I have a lot of kitchen type gear and tools. This helps to make meals effortless. I also prep a lot before we go to make meals easy. Some of my favorite kitchen gear includes a nice assortment of utensils and tools, an electric skillet, a dutch oven, spices I keep on hand for cooking and a percolator coffee pot. For meals, I also didn't want to have a bunch of appliances to lug about. I use a percolator to make coffee. A Dutch Oven is my oven. I reheat food on my little gas stove in a skillet or a saucepan or we eat things cold. One piece of equipment that I love is an electric skillet. It is great for rainy days when grilling or cooking outdoors isn't easy. It can be used as a griddle, a skillet or sauce pan. A used or inexpensive one from the dollar store is a perfect. It is important to spend lots of time outdoors. So, we have our spot set up to cook, eat and play outside. We have a rug, chairs, table for kitchen prep, a hammock and lights to enjoy time out in the evening. Our space outside is as important to me as our space indoors. A rug helps create a nice outdoor space and keeps the inside of your pop up a little cleaner. These Klippy Klips from RV Designer hold our lights on and are easy to clip to our awning. Some of your other needs depend on gear. If you have a porta potty, you need toilet paper and Aqua Kem for your waste tank. Everyone needs a first aid kit. Some may consider this a camping basic. Every camper needs a first aid kit. We have one from Surviveware that is compact and has everything we need! Its super well organized too! Finally, some things are not necessities. You can camp without them. Create yourself a wish list of things to purchase later. This may come out of what you discover the first few times you camp. Some of the things that I consider to be beyond the basics are popup gizmos, pie irons, and hammocks. Camping gear can be expensive. So don't feel like you have to buy it all at once. A hammock is a great addition to your camping gear. Everyone needs a comfy place to put their feet up and relax while camping! Get organized, have a list and check it off. It is the easiest way to have a simple easy, camping weekend. The work on the front will pay off. You can download my camping checklist. And if you are interested in any of my other lists for camping, check out my camping lists page. What are some of your camping must haves? You can view a complete list of Camping Gadgets and Gear on my blog. Share some of the camping gear that you think are essential to your camping success. I hope this list helps you plan your next camping trip. Happy camping! Last week, I shared the first six things that we did in our pop up camper remodel. You can go back and take a look at our Pop Up Remodel Review Part 1. Overall, we did 13 big things. Today, I'm sharing the remaining 7 things that we did to get our camper ready to go out on the road. Peggy Sue is a 2001 Jayco Qwest Pop Up Camper. When we purchased her, she had the original mattresses. They were thin and showed a bit of wear and tear. Regardless of anything else, it was just time to replace. Even with a topper for more cushion and comfort, we just felt like the existing ones needed to go. After doing a bit of research and comparison, I found these Classic Brands Memory Foam Sofa Mattress | Replacement Mattress for Sofa Bed Sleeper, Full Size . We had full-size beds on each end of our camper. These mattresses were perfect. We were able to cut them easily to fit our beds. They came with a zippered mattress cover. And, they sleep great. This sofa replacement matressess were easy to fit and came with a nice zippered cover. Best of all, these thick mattresses cost about the same as a 3-inch mattress topper. And they are thicker than a mattress topper. It's a total win. You can see my original post about replacing Pop Up Camper Mattresses on a Budget. For approximately $250, you can have two full mattresses replaced. Its a huge upgrade and makes camping so much nicer! I decided to purchase new bedding and linens for our camper to have things specifically designated for this space. I didn't want to be constantly packing home linens to take on camping trips. Wayfair is where I purchased my bedding and linens. Our quilts sets came with shams and throw pillows. These sets were less than $30 each. New, bright bedding really transforms this space. And it is nice to climb into at the end of the day! I decided to just go ahead and get the sheets and towels as well. Since I was purchasing everything new, I stayed within my coral and mint color scheme. I found mint sheets in a nice soft microfiber for $19.99 each. The towels were also $19.99 a set. They wash fine and are nice and fluffy. Each one of these sets came with 2 towels, 2 hand towels and 2 washcloths. Perfect for our family of 3. Our towels match our decor and are practical too. Our bedding and linens cost less than $140 total. This included quilts, shams, throw pillows, sheet sets, and towels. I felt like this was a great price. Because I ordered everything at once, I received free shipping. I don't think it is necessary to buy all new stuff for your camper, but it was something that we chose to do, and it fit within our budget. I feel like that even though we are finished with our pop up camper, there is always something that we are working on to make our camper better and more comfortable. We are planning to replace our pop up camper canvas at some point in the next 12 months. In the meantime, we are trying to get as much life out of our canvas as we can. We've had a few tears in our canvas along the way, and I've patched them and sewn them up. I recommend keeping a patch kit with a Sewing Awl and some canvas and glue for trips if your canvas is older like ours. It has come in handy on a trip already when we had another tear and it was going to rain that night. It worked like a charm. A sewing awl is a handy tool in repairing an old canvas. You can read about how I patched our canvas in my post about How to Repair a Torn Pop Up Camper Canvas. We purchased our camper knowing that we would not have a bathroom or potty. I was okay with this. Campgrounds, where we have stayed over the years, had facilities that are well maintained. I've not had a bad experience to date. However, having a potty is convenient for bathroom trips in the middle of the night, cold or rainy weather. We have experienced all of these. We have a Thetford 92360 Porta Potti 550E Curve Portable Toilet . It is perfect for our camper. It fits into our space. It is easy to clean and is tall enough to actually use. The Thetford Curve Porta Potti is a great addition to our camper! You can read my full review Porta Potty Review in a previous post. I cannot recommend this potty enough. If you are considering this as an option, do it! You won't regret it! It's one upgrade, that I cannot image living without on trips. The biggest repair to Peggy Sue was her roof! And while it took a planned weekend to do the work, it was not really difficult as much as it was several steps to get it done right. If you have a leaking roof, you can repair it. The guy at our local RV place said to me early on that Pop Up Camper roofs are pretty straight forward in terms of construction and easy to fix. I agree. We successfully repaired our leaking roof in a weekend. Take your time and plan accordingly to get it done. If you have to wait out bad weather to get it done, place a tarp on your roof and cover and protect as much as you can until you do it. Seal everything! If you have one leak with center and side seams, the other places you don't suspect may be leaking as well. To a total job and seal with some Dicor 501LSW-1 Lap Sealant - 10.3 oz. around everything. The sooner you repair your leak the sooner you can enjoy your camper and reduce any additional damage to the interior of your space. I have an entire post devoted to Repairing Our Pop Up Camper Roof from earlier this year. Our camper did not come with a dinette table, but we really wanted to include this into our space. This is really an easy project to do. Start with a simple piece of plyboard that is cut to fit your space. Make sure that you allow for getting into the bench seating. So, you might want to trim your corners for this purpose. I applied a faux barn finish to ours and love the way it looks in our space. We added a table kit that includes a pole and two mounts (one for the table and one for the floor). My husband and I did this in an afternoon. It was easy, and we have used this table on every trip. We also cut our table to fit in between our seats to make a third bed. Our new dinette was a great way to make our space complete. If you want step by step instructions on how to make a pop-up camper table for your space, check out my Pop Up Camper Table Replacement Post. You will find step by step instructions on how to make your own table. Originally, I said that we did 12 things to get our camper ready. But 13 was our lucky number to a successful camper remodel. The awning repair was the last thing that I did to our camper. Peggy Sue came with a Carefree of Colorado awning that was older but still in relatively good shape with the exception of one pole that would not extend. I worked directly with Carefree of Colorado to locate a replacement pole part and installed it myself. The part with tax and shipping was approximately $100. This is much cheaper than a whole new awning. And I love the brown retro look of the one we have. I replaced a broken leg on our camper awning that would no longer extend. It was a simple repair. If you are looking to remodel a pop-up camper, I recommend setting a budget to start with. This should include the purchase of your camper and the remodel of your space. I said that I wanted to spend no more than $2,500 total from start to finish. And we did. This included all of the camping gear that we purchased along with the updates and remodel. Peggy Sue is comfortable and pleasant on trips. On our spring break trip, my husband said at night as we were inside during the rain, "This is really nice. So comfortable." And that is the best compliment of all as well as my desired outcome. I wanted space that we could all enjoy together as a family. That is just what we have. I look forward to many more camping trips ahead for us. Peggy Sue on our maiden voyage. Have you remodeled a pop-up camper? What did you do to get your camper ready? And, what lessons did you learn along the way? Every camper is a unique space and can be made to fit your lifestyle and needs. Share your project and lessons learned by commenting below. Also, for a complete list of what products we used in remodeling our camper, check out my Pop Up Remodel Page. Have a great week and happy camping! A true glamper needs to be armed with a few tasty meals and treats. I love to cook, and it is fun to discover new recipes that will work well for our camping trips. Camping meals or snacks for our crew need to be easy, provide some nutritional value and appeal to even a toddler. That is a tall order to fill. Several months ago, I started following Sally's Baking Addiction. It started with a Soft Cutout Sugar Cookie Recipe that has become a staple for birthday parties and social activities in our home. It is a perfect cookie recipe that is easy and delicious. If you don't read any further, pin this cookie recipe to your Pinterest page. You will be glad you did. Also, keep reading. 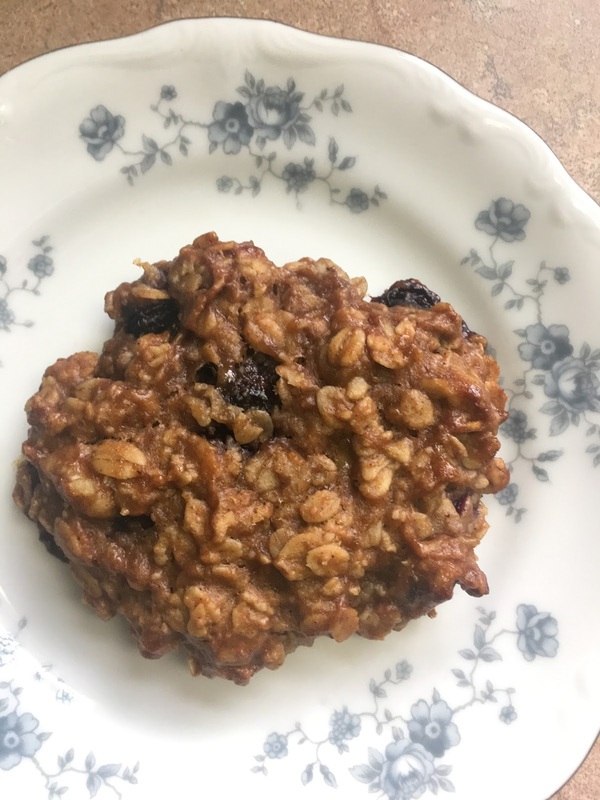 You don't want to miss out on these breakfast cookies either. I follow Sally's Baking Addiction on Twitter and Instagram as well. 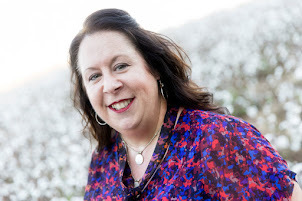 She has great recipes that are inspiring and give me ideas for new recipes. Her recipes are easy to follow, and combine great pictures with simple instructions. When her recipe for Good Morning Sunshine Breakfast Cookies showed up in my Twitter feed, I couldn't resist. Everything about this recipe was perfect. 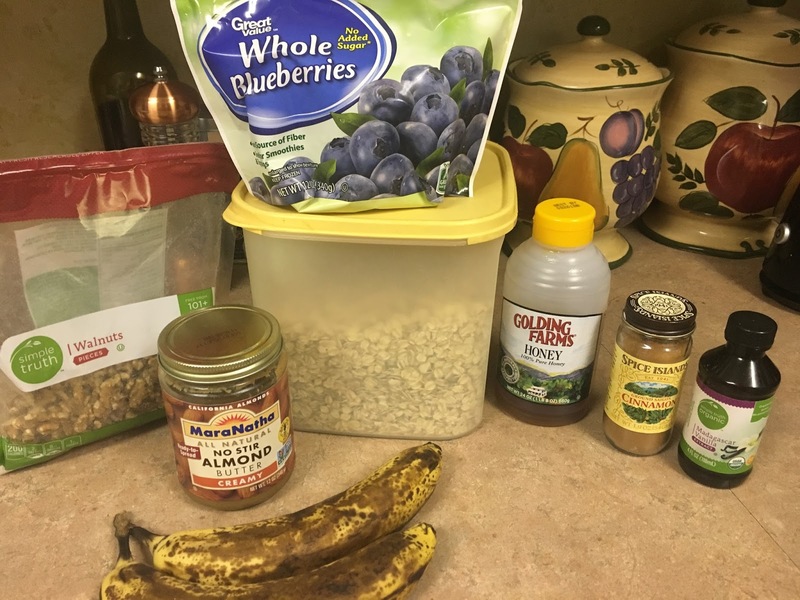 These breakfast cookies are made with oatmeal, almond butter, bananas, honey, cinnamon, nuts, cinnamon and blueberries. Everything about these breakfast treats is delicious! The ingredients for this recipe are simple and things that I typically always have on hand. Mix everything in one bowl. Easy clean up! Scoop out in 1/4 cup mounds to bake. I used parchment paper to bake on. This also makes for easy clean up. I first made these for breakfast to use up some bananas. They were great! The combination of flavors is perfect. They are filling, and I can pronounce every ingredient. No preservatives. After baking these the first time, I was taken by how portable they are. Its a cookie for breakfast! These can be baked and placed into baggies or wrapped into a napkin to eat on the go. Its like a chewy granola bar, but better - way better! Now my wheels were turning. Why couldn't these go camping? They can be prepared the day that you leave and eaten for breakfast or for a snack while hiking. Since they can be stored in one plastic container or individually, they are easy to take on the go. Also, I am all about taking one recipe and seeing how I can make it by taking a "use what I have" approach. I recently decided to make these but was out of blueberries. 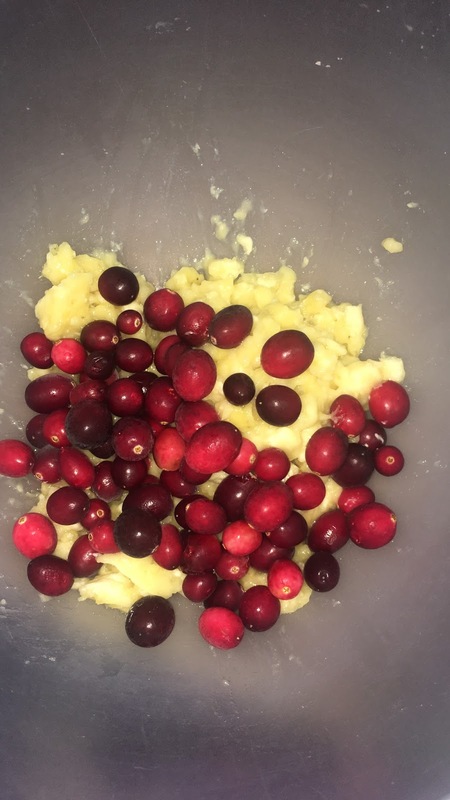 I did have frozen cranberries. I make a simple substitution. Perfect. The tart cranberries with the sweet bananas and the crunchy nuts was great. 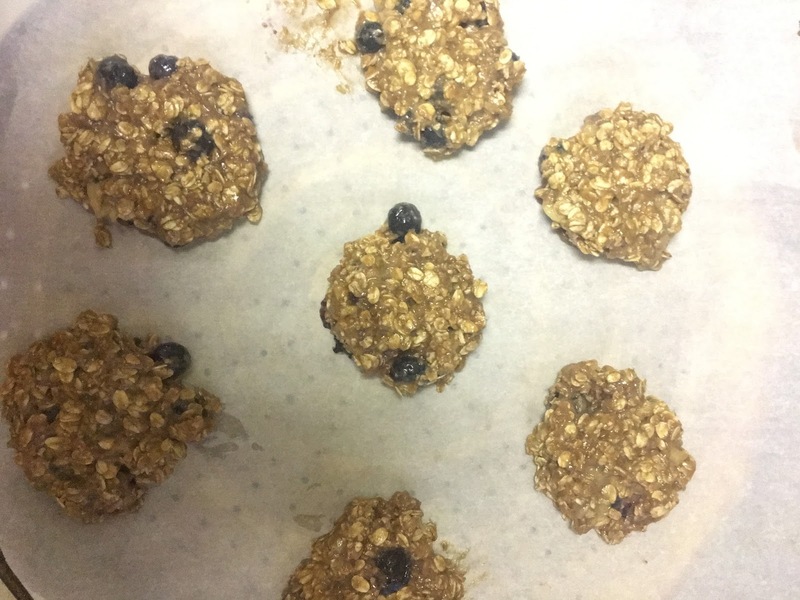 Breakfast cookies with the cranberry variation. So good! If you are looking for a new, easy and healthy snack to take on your next road trip or camping trip, look no further. This is it. Skip the granola bars and take these breakfast cookies. They are great and have all of the good stuff with non of the additives. One thing to keep in mind is that you will need to eat these rather quickly. Baking from scratch and ditching the preservatives means that you also shorten the shelf life of your baked goods. I can live with that sacrifice. And, you will find that these won't stick around long. Everyone loves them. Up your glamping or camping status and pack along some homemade goodies for your next trip. Your family will thank you. These breakfast treats can be eaten at any time of day, and you will feel like a baking pro without all of the work. Be sure to check out the rest of my blog for more camping ideas. If you are looking for camping meal ideas, check out my 5 Tips for Easy Meals. Be sure to comment and share some of your camping meal and recipe ideas. I'd love to hear what you like to take along on your trips. Have a great week and get out there and bake something special for your next trip!